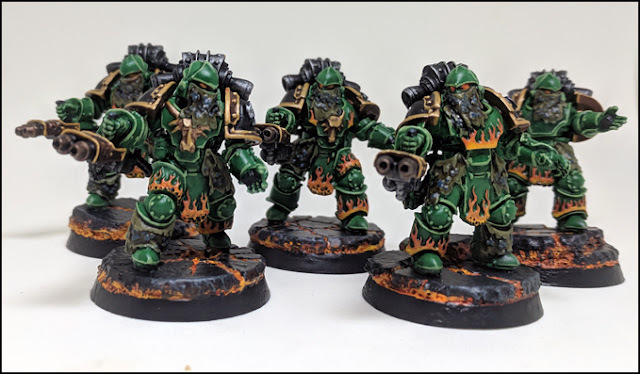 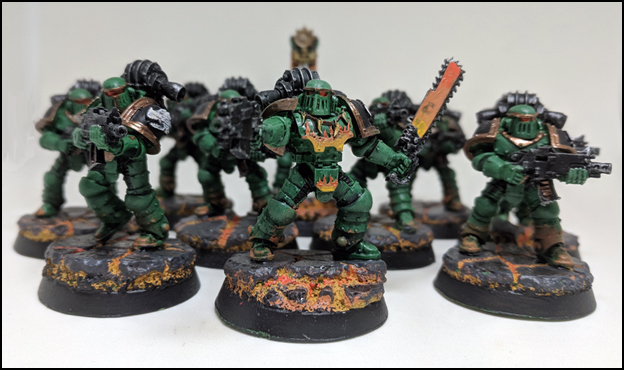 This post isn't really 750 points of Salamanders, but I didn't know what else to title it, these are what I have painted this month, which when added to last month's Salamanders round out to 750 points. These guys are the second half of my Pyroclast squad, making them up to the full ten. They were effective last month so I am hoping that twice as many will be twice as effective. 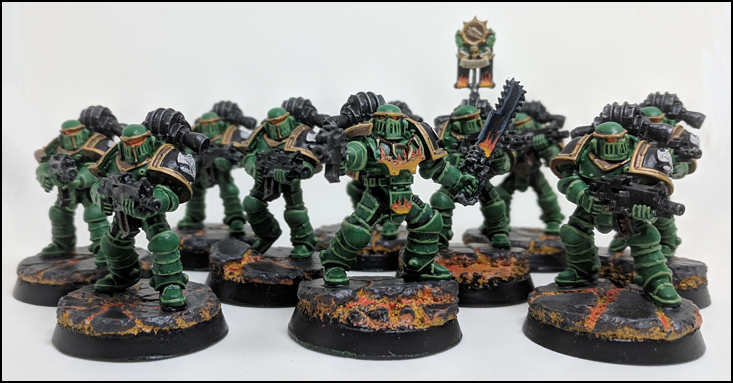 The next squad are some tactical marines with bolters, I had already painted these a few years ago, but I think my painting has improved so I decided to touch them up. 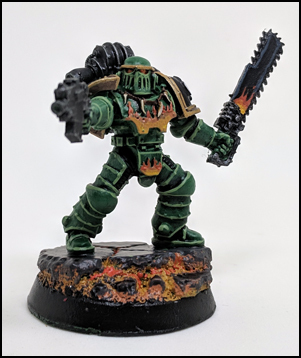 I have included photographs of both before and after so you can see what I improved, hopefully you agree with me that it was worth the effort. 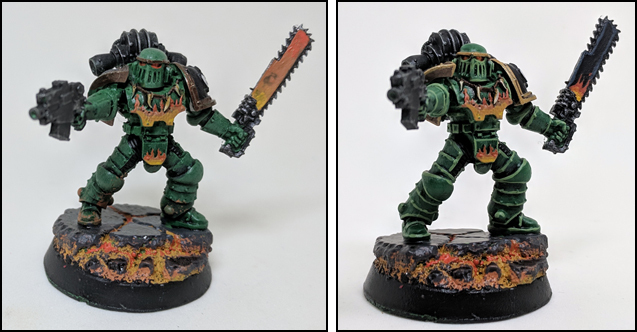 Here is a final side by side of the sergeant which I think shows my improvement pretty well.